A frank and intimate portrait of a charismatic, larger-than-life underworld figure, as told by the daughter who nearly followed in his footsteps. "Do unto others before they do unto you," John Vogel used to advise his daughter, Jennifer. By his account, the world was a crooked place, and one had to be crooked in order to survive. A lifelong criminal, John robbed banks, burned down buildings, scammed investors, plotted murder, and single-handedly counterfeited more than $20 million. He also wrote a novel, invented a "jean stretcher," baked lemon meringue pies, and arranged for ten-year-old Jennifer to see Rocky in an empty theater on Christmas Eve. In his reckless pursuit of the American Dream, he could be genuinely good. When it came time to pass his phony bills, he targeted Walmart for political reasons. In 1995, following John's arrest in what turned out to be the fourth-largest seizure of counterfeit bills in US history, he managed to slip away, leaving his now grown daughter to wonder what had become of him. 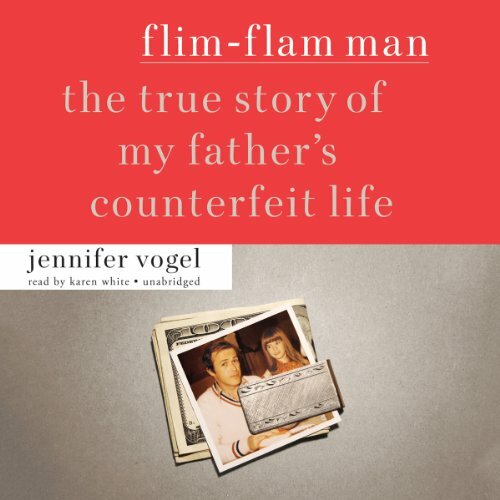 Framed around the six months Jennifer's father ran from the law, Flim-Flam Man vividly chronicles the police chase - stakeouts, lie detector tests, even a segment on Unsolved Mysteries. In describing her tumultuous life with John Vogel, Jennifer deftly examines the messy, painful, and almost inescapable inheritance one generation bequeaths to the next.